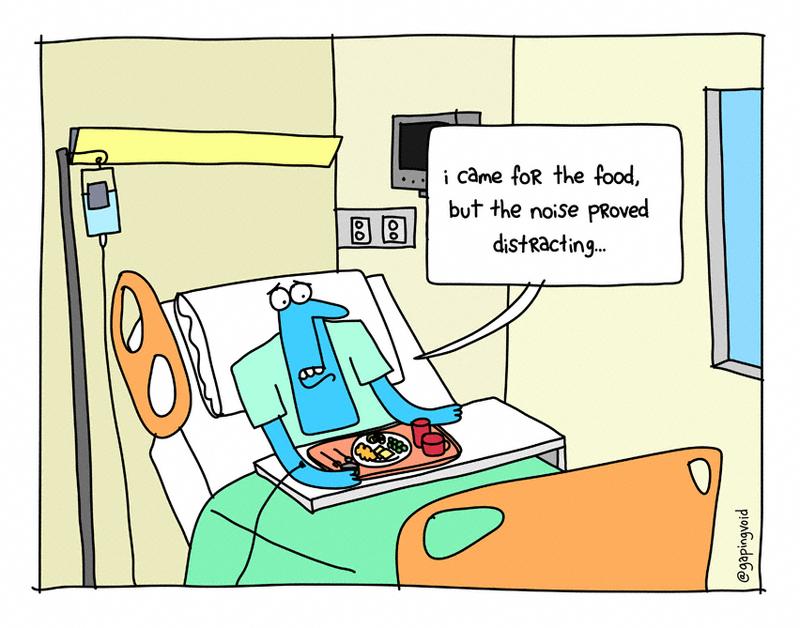 Noise affects patient safety and health, and is an important part of the patient experience. Patients often complain about noise levels during their hospital stay, but there are many interventions available to support a healthier and more comfortable environment. Learn about: how excessive noise can negatively impact patients and staff in hospital environments, the various ways to improve patients’ perception of sound, and the specific low cost, medium cost, and high cost design strategies that can reduce noise. As part of the noise toolbox, in this issue brief you will learn about how excessive noise can negatively impact patients and staff in the hospital environment, ways to improve patients’ perception of sound, and low-cost, medium-cost, and high-cost design strategies that can reduce noise. This list of resources is made of up of articles, books, policies, organizations, and more, related to noise Use this list to learn more about this topic.